Cast iron leg plates. 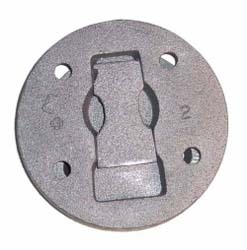 Two pieces per leg: one at 3-1/2" diameter, one at 4-3/8" diameter. Set includes enough for 3 legs.